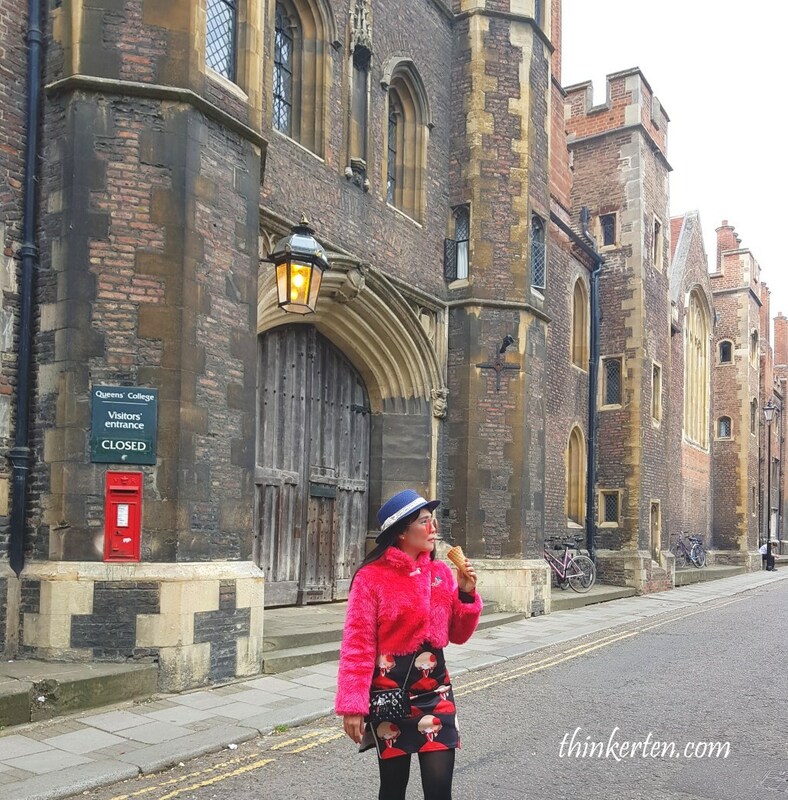 Cambridge University Town is the place that I most wanted to see in England. 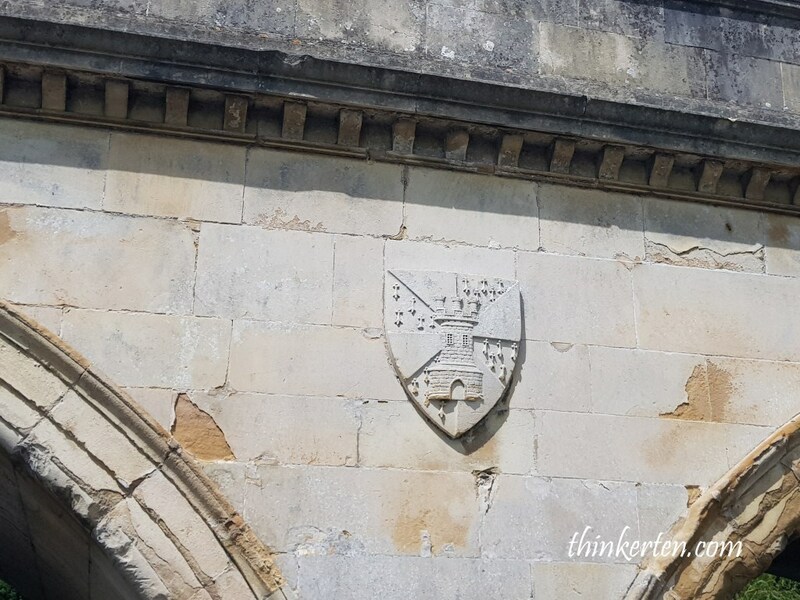 The buildings here are so ancient and a study place for many great people, including Sir Issac Newton, Founder of Singapore, Lee Kuan Yew and early 20th century Chinese Poet, Xu Zhimo/徐志摩, Steven Hawking and many more. 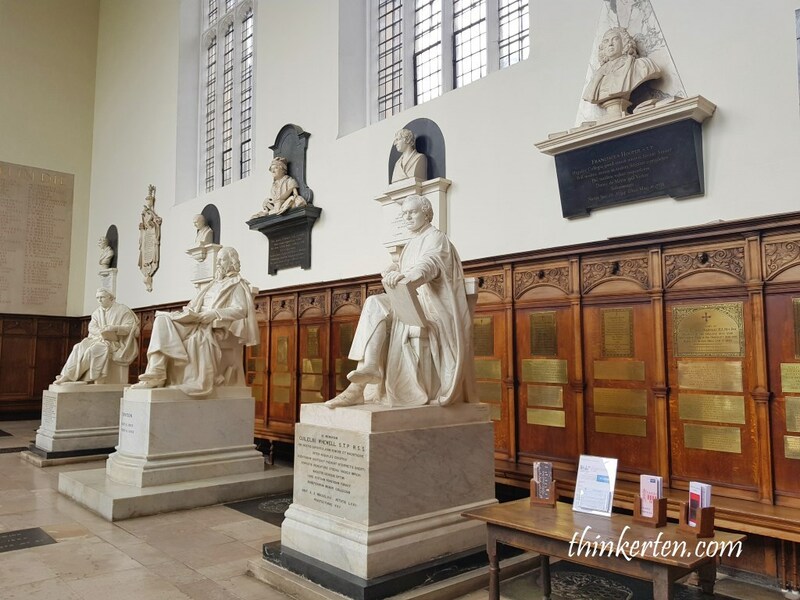 The prestigious university also won 89 Nobel Prize in total including six different disciplines, one of the top university for producing most Nobel Prize winners. 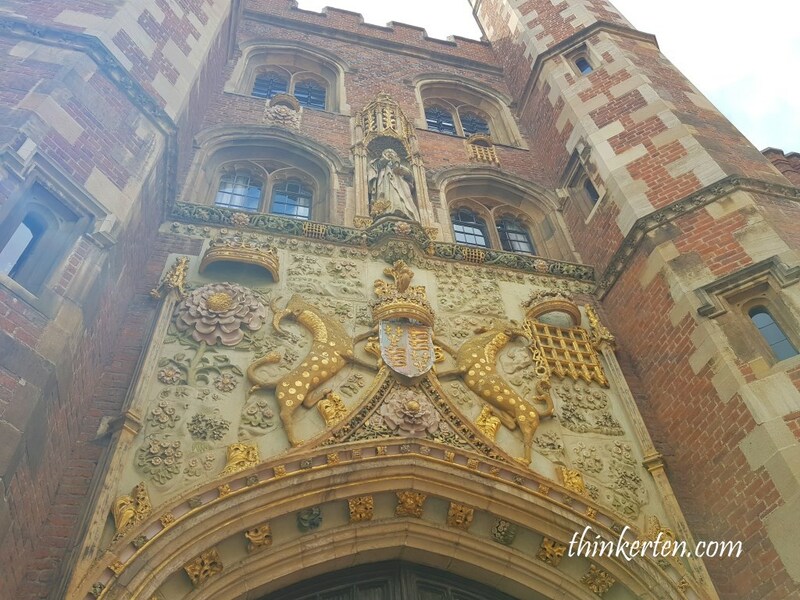 Cambridge University is one of the oldest University in the world, established in 13th century, top 4th oldest. 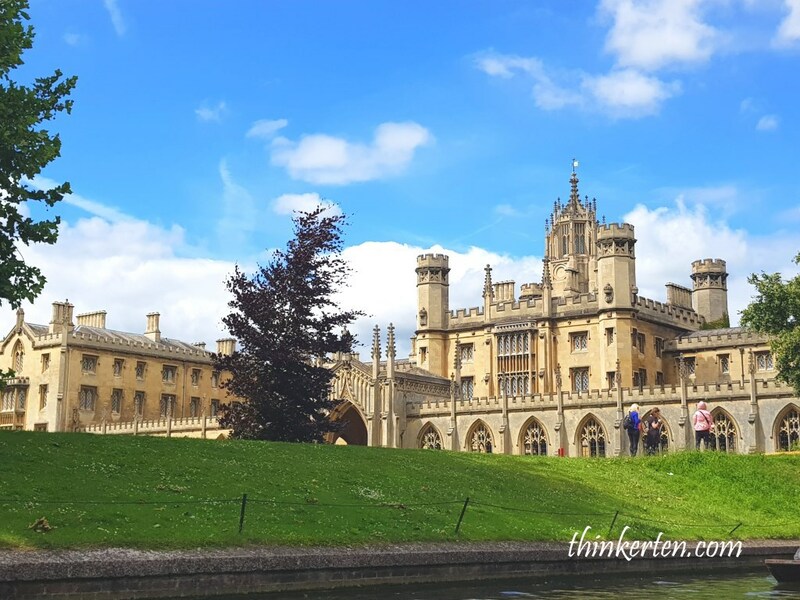 It has 31 Colleges and some of the famous colleges that we came across are King’s College, Queens College, Trinity College, St John’s College. 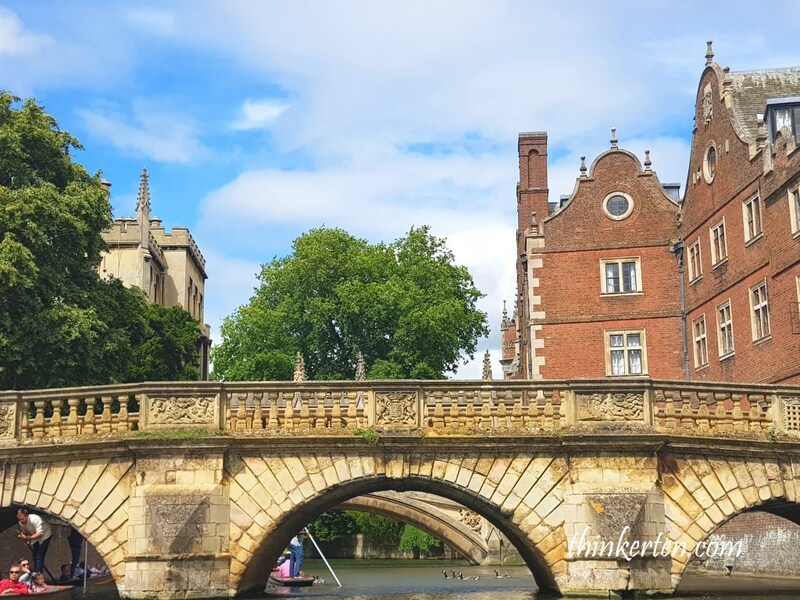 It would take days and weeks if you wanted to visit all the 31 colleges in Cambridge. Just pick few of the above. 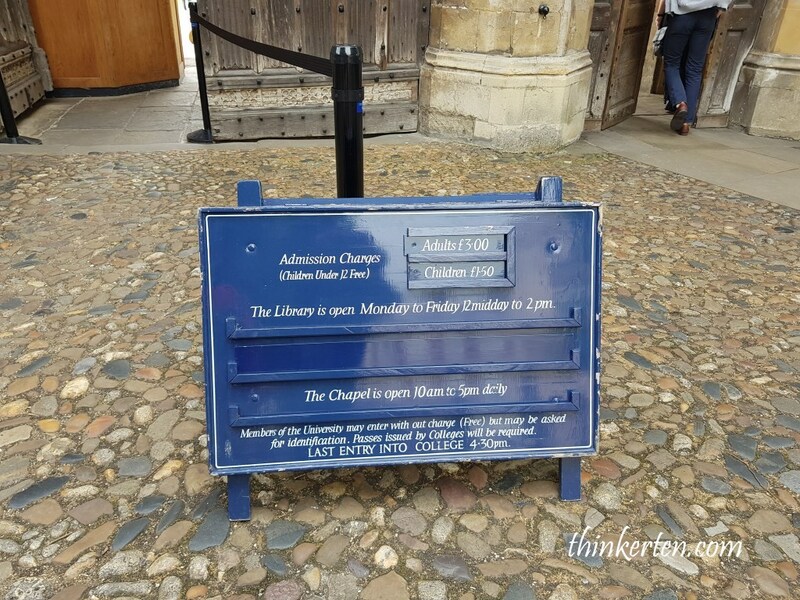 There is always a fees to pay to enter the colleges in Cambridge. 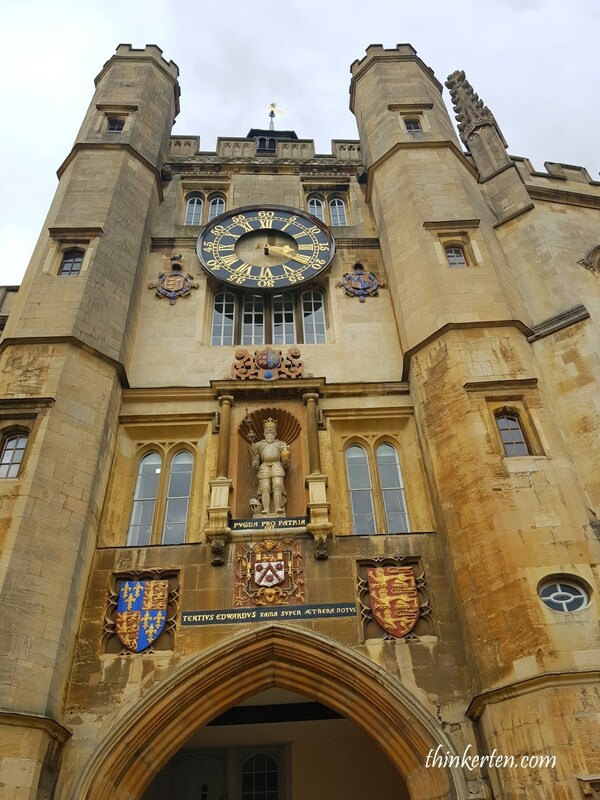 Admission fees for King’s College, check here. 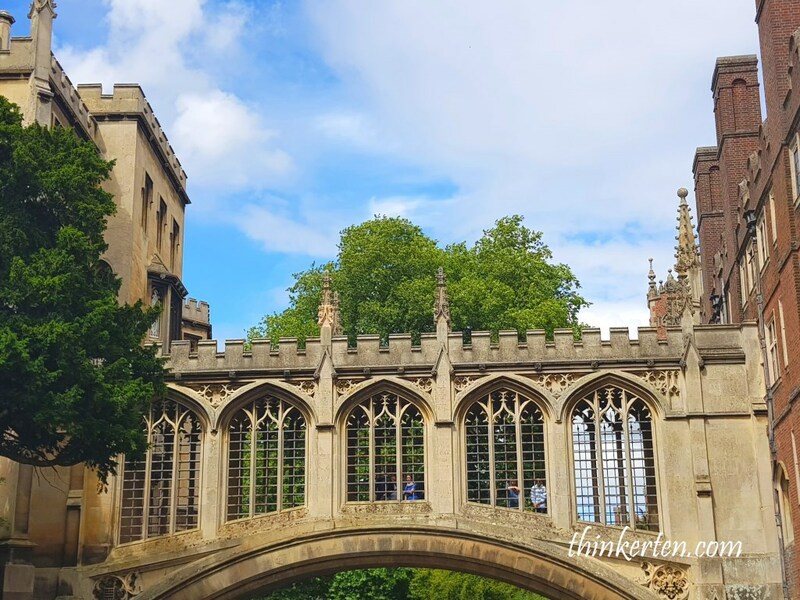 If you don’t feel like paying the high admission fees, you can also take a look from outside, you are still able to see clearly the interesting architectures of this most famous colleges in the world. 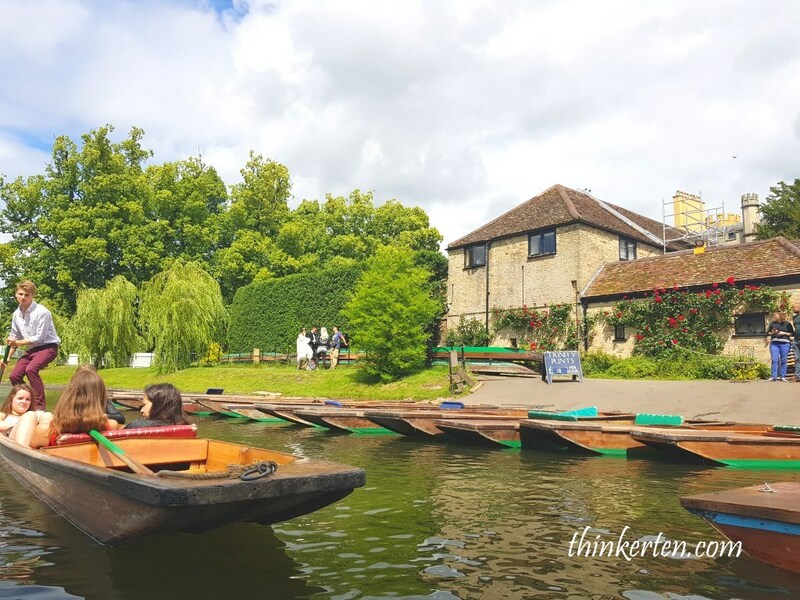 Punting is a must do activity in Cambridge, not to be missed. 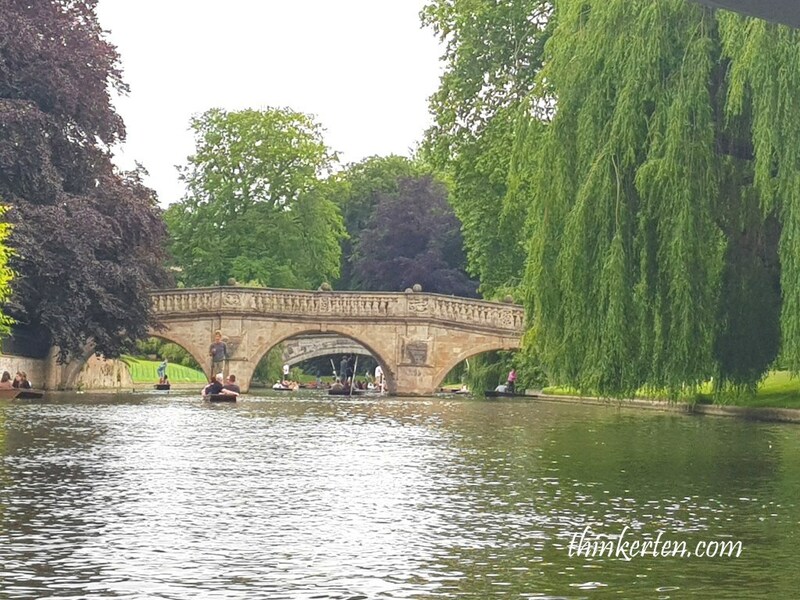 The River Cam runs through the heart of Cambridge enabling you to enjoy fantastic view and really a treat to your eyes. 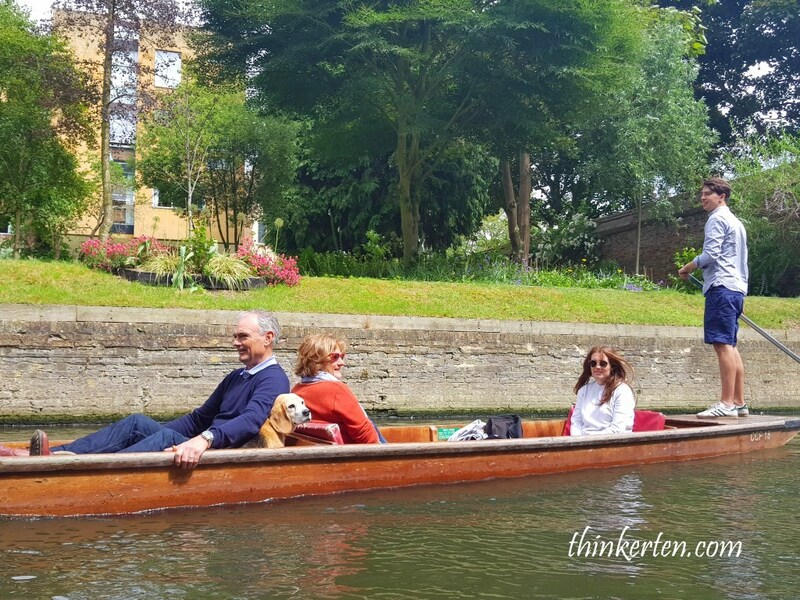 The 45 mins traditional Cambridge Punt is only GBP 10 per person. 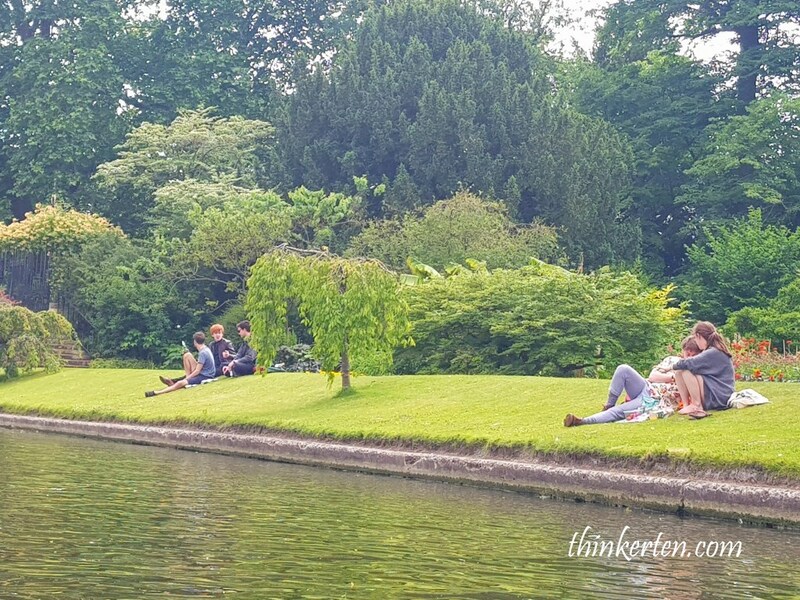 Students enjoying neatly trimmed green lawn, sunny weather and the excited tourists in the punting at the bank of River Cam. 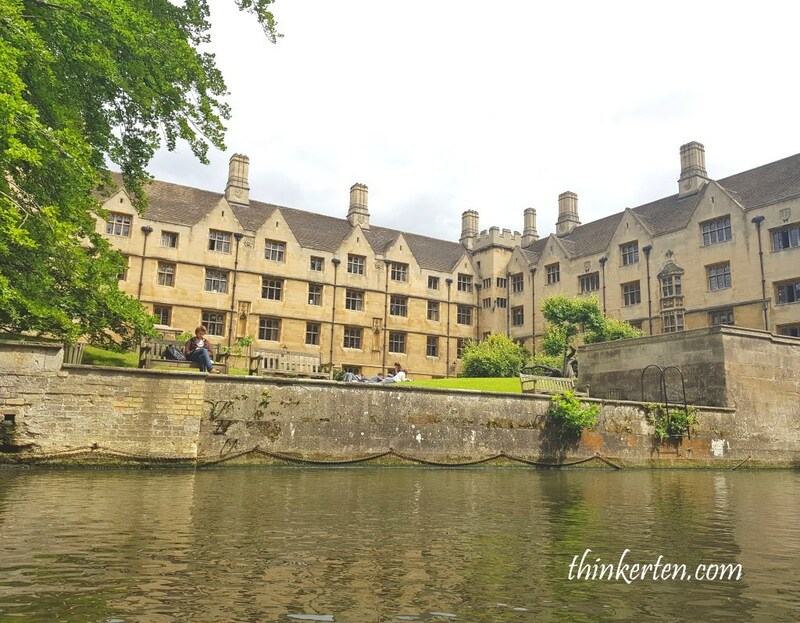 There are about 12 people sitting on the punt and there is a young man who will do all the hard work and he stands on the back of the punt. 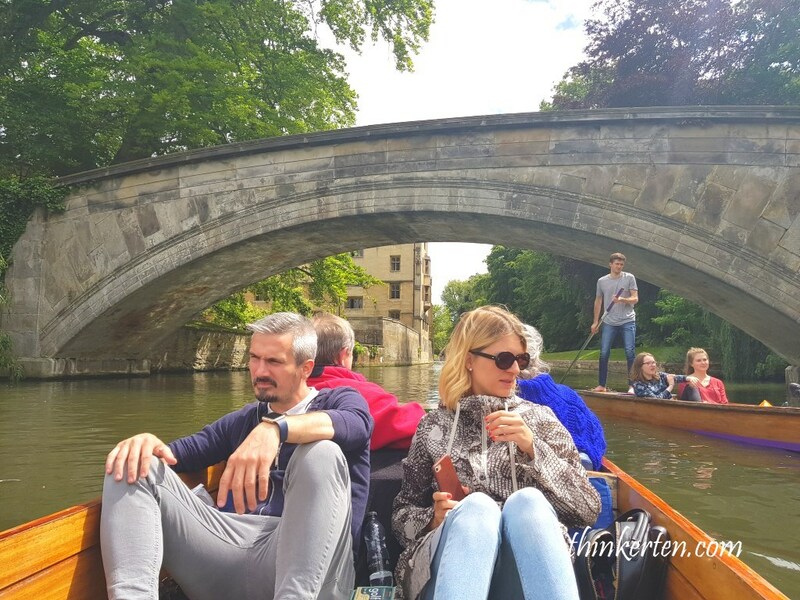 The young punter also give explanation of the buildings and the history along River Cam. 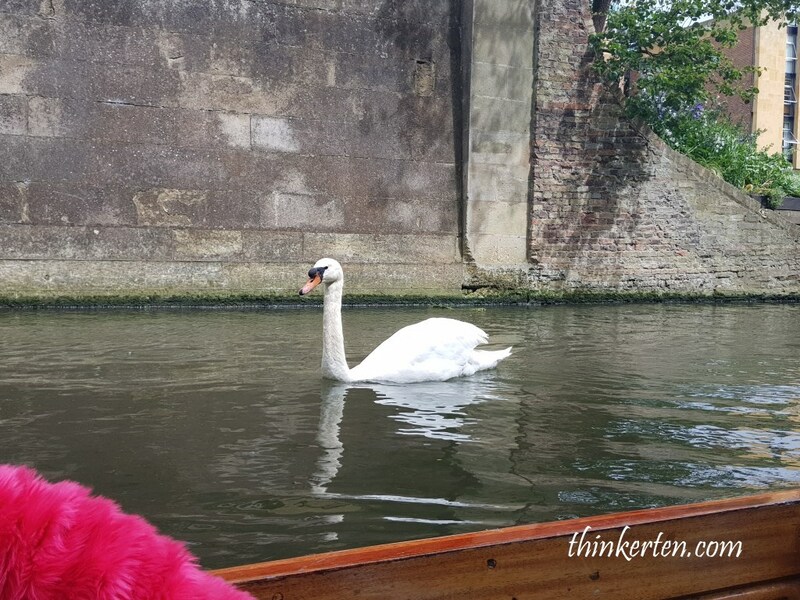 Spotted a swan coming near me to ask for food. Dog here is lucky, it gets a ride in the punting too! 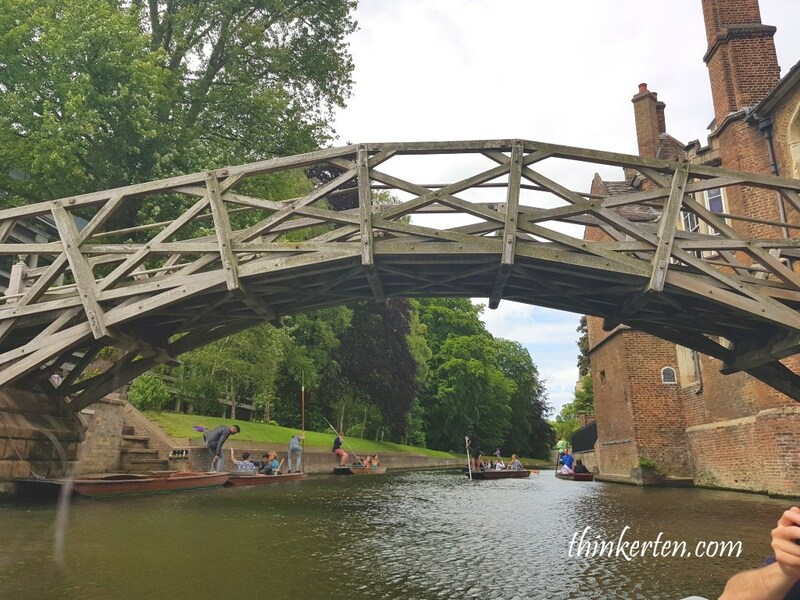 There are countless bridges in River Cam and one of the special one made from wood, called Mathematical Bridge. The Mathematical Bridge first built in 1749, this is the third version. 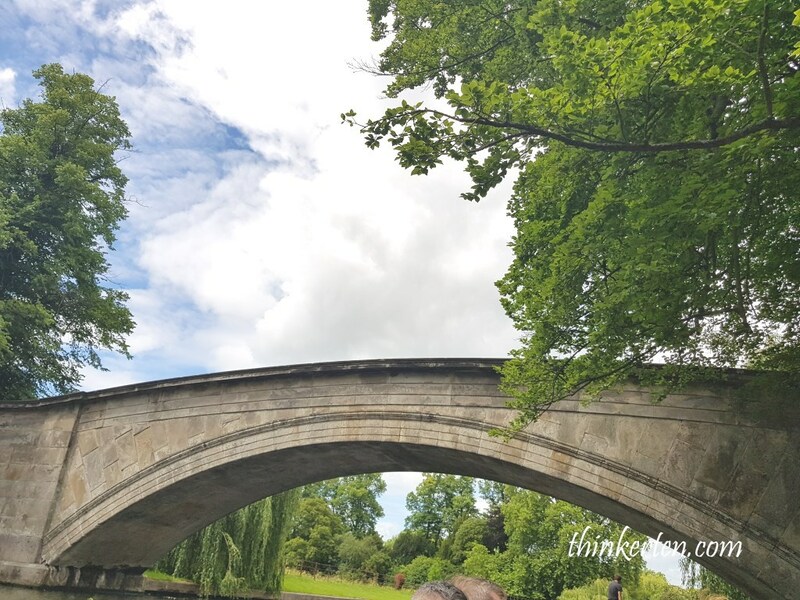 The Mathematical Bridge is also an important landmark in the River Cam. 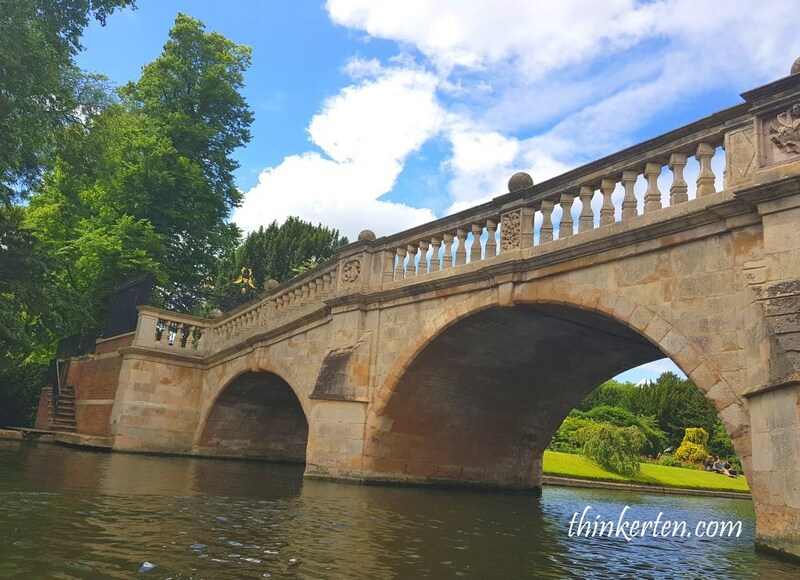 Myth suggest Sir Isaac Newton first built the Mathematical Bridge without bolts and nuts. But I do spotted plenty of nuts and bolts when we passed by. Obviously a myth. Thinking of Xu Zhimo/徐志摩, the Chinese great poet from the 1920s, recalling one of his most important piece of poem. 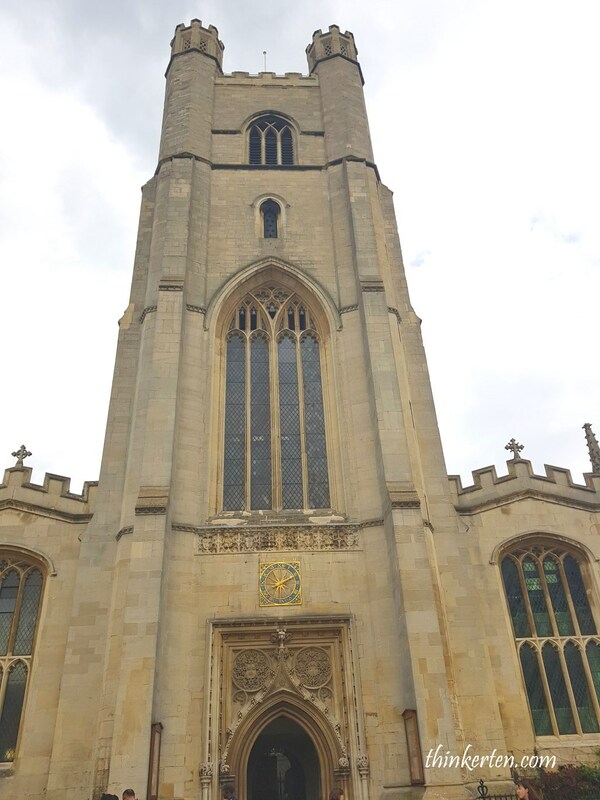 “Farewell, Cambridge/再别康橋”. 作別西天的云彩。To the clouds in the western sky. 不帶走一片云彩。I am not taking away a single cloud. 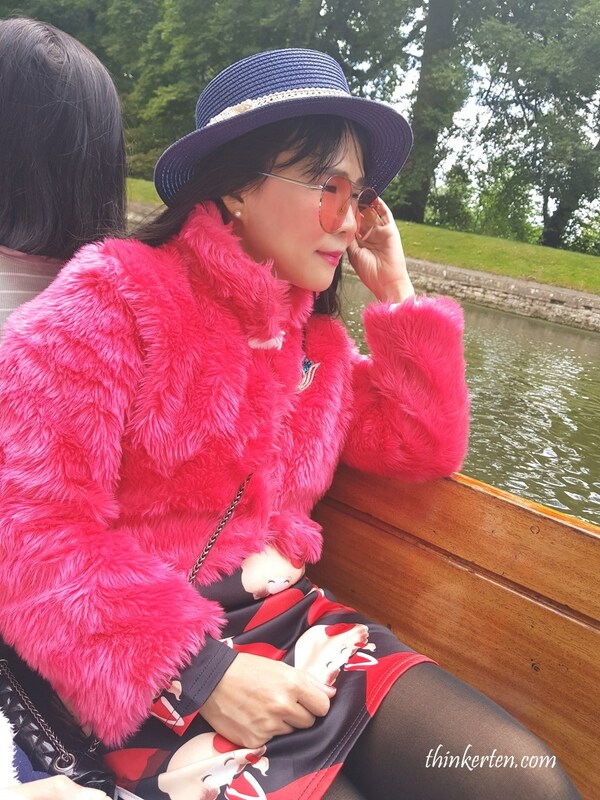 Xu Zhimo’s romantic poem paints such a lovely picture of punting in Cambridge, you could only realize how beautifully it describes the river when you are here. Want some challenge? 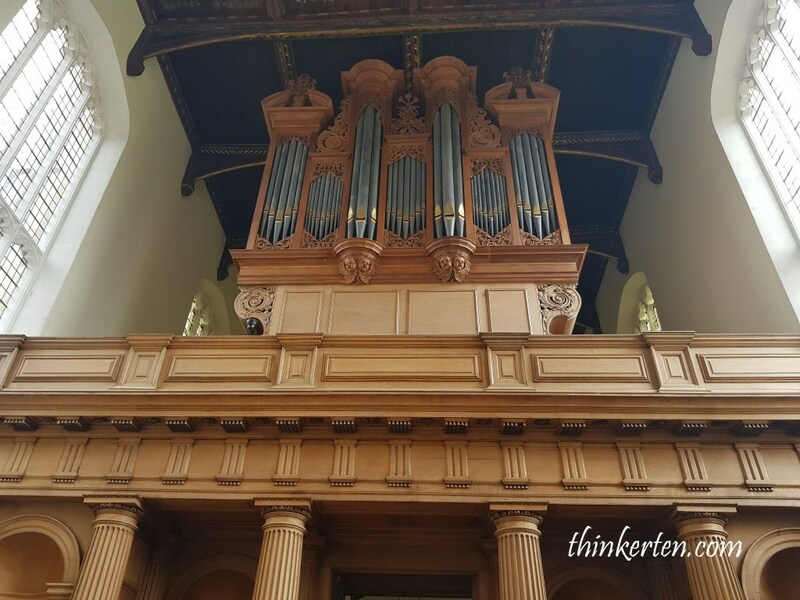 Hire the punting and do it yourself but bear in mind, you need to have certain fitness and skill. You have to navigate the boat on a straight line else, it will go zigzag. I saw many inexperienced young punters go zigzag and almost hit our punting but luckily our punter is an experience young dude. Perhaps this is the most iconic bridge of all, the Bridge of Signs. I know Mr Lee Kuan Yew and his wife love to take picture here and actually took few pictures from different timing. One at their University time, and second picture was during their son’s graduation and the final one at their old age in 2000. 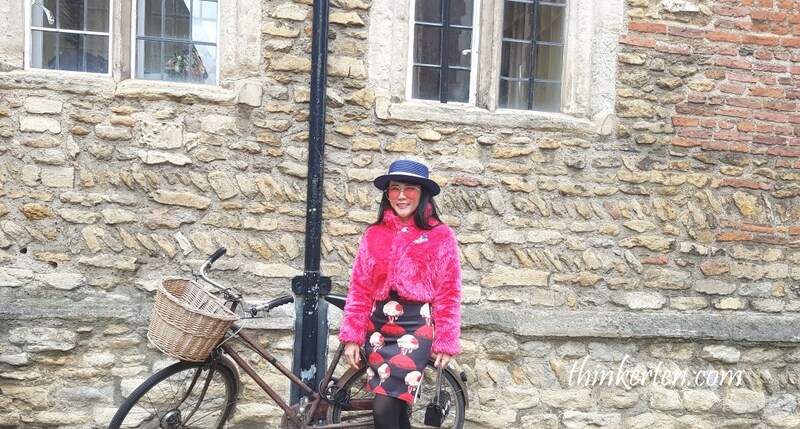 In Cambridge you will encounter many cyclists and it is also a city of cycling. 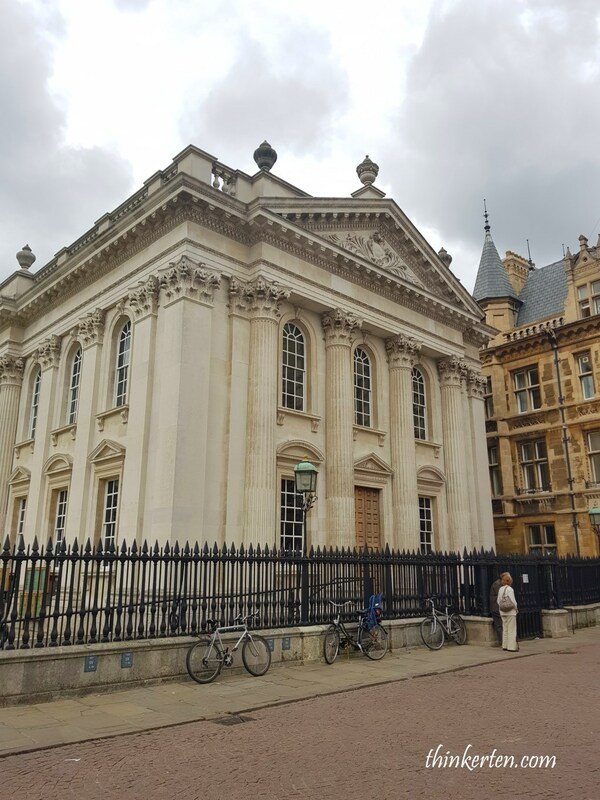 It was said Cambridge has the highest number of cyclists in UK, either cycle to work or cycle to university. But when I was there, it looks pretty dangerous to see cyclists sharing the same roads with the cars. 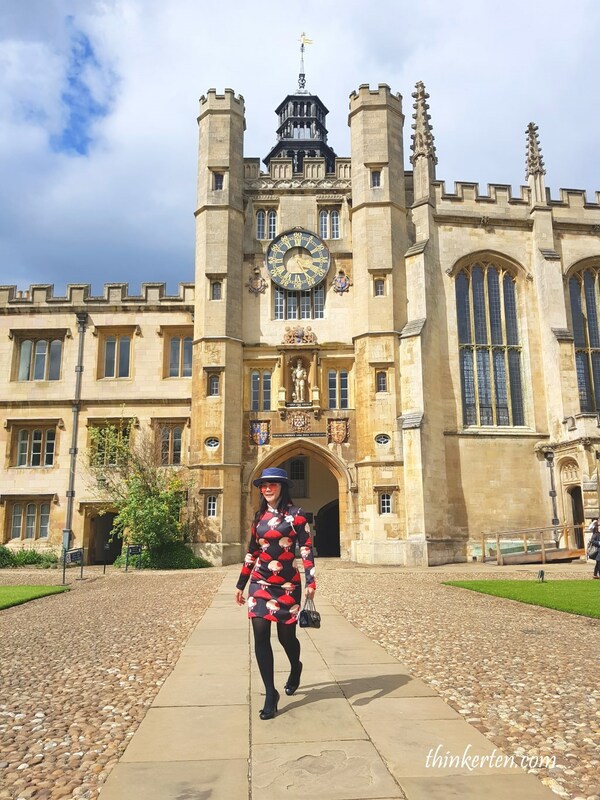 I could only name few notable alumni from Trinity College, such as Sir Isaac Newton, Prince Charles, Singapore Prime Minister- Lee Hsien Loong. The clock is still working and it still strike and make a sound. 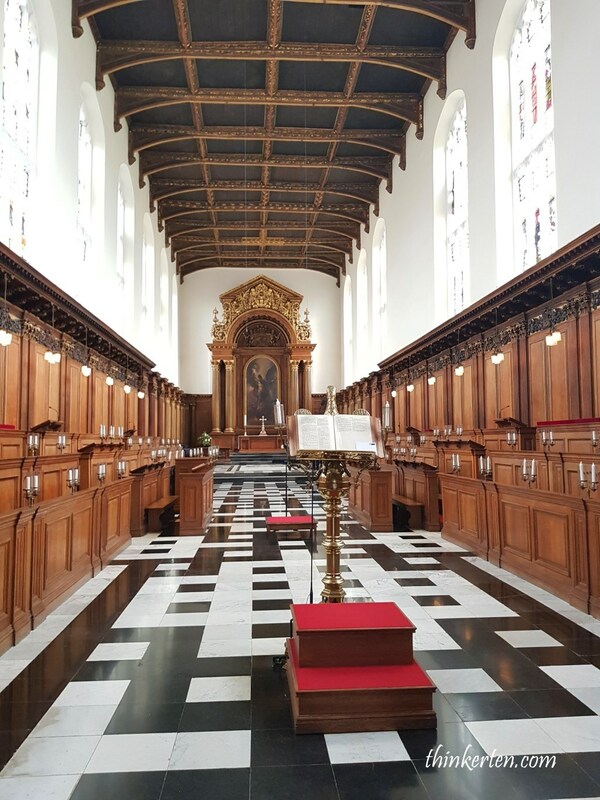 Inside the Trinity choir hall you can see the details of the craftsmanship of this old building. 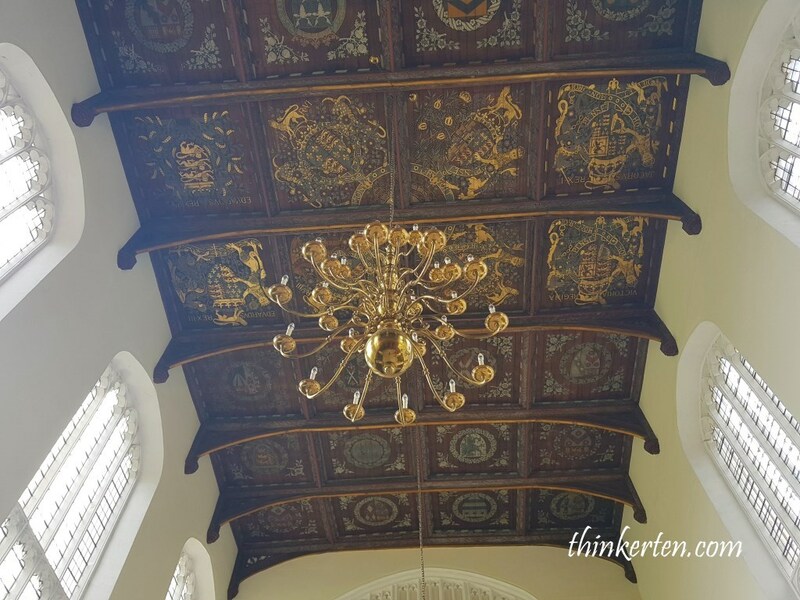 The ceiling was printed with nice pattern, looks like the logo. 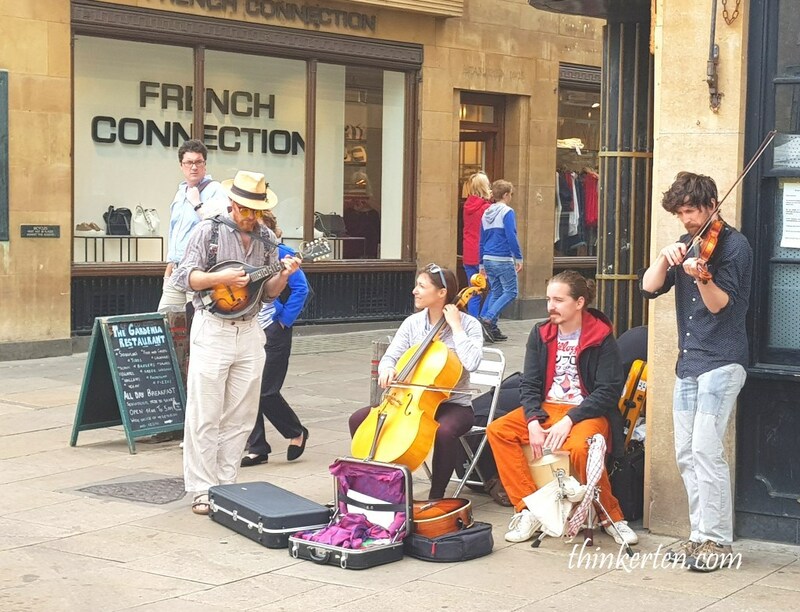 The beauty of Trinity courtyard attract many tourists around the world. Yes, you need to pay to get in here. And we did. 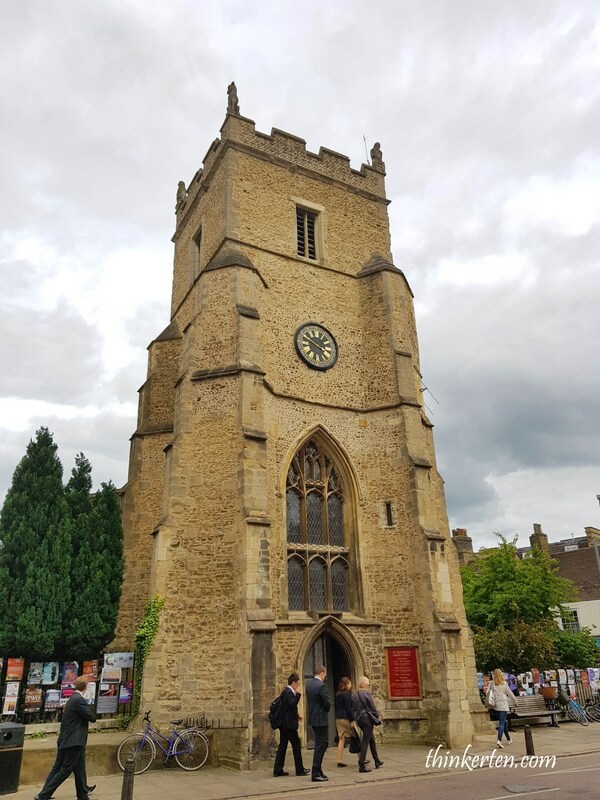 Fee is GBP 3 per pax. 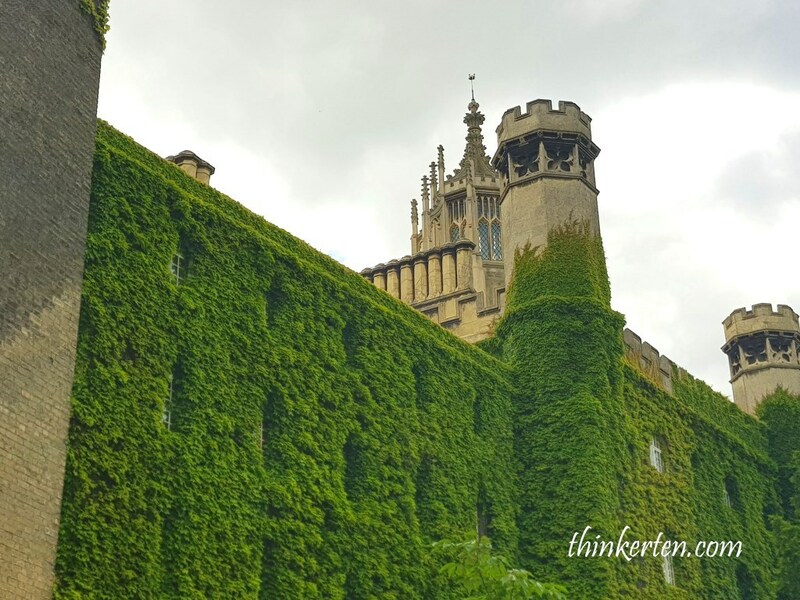 A lot cheaper compare to King’s College. 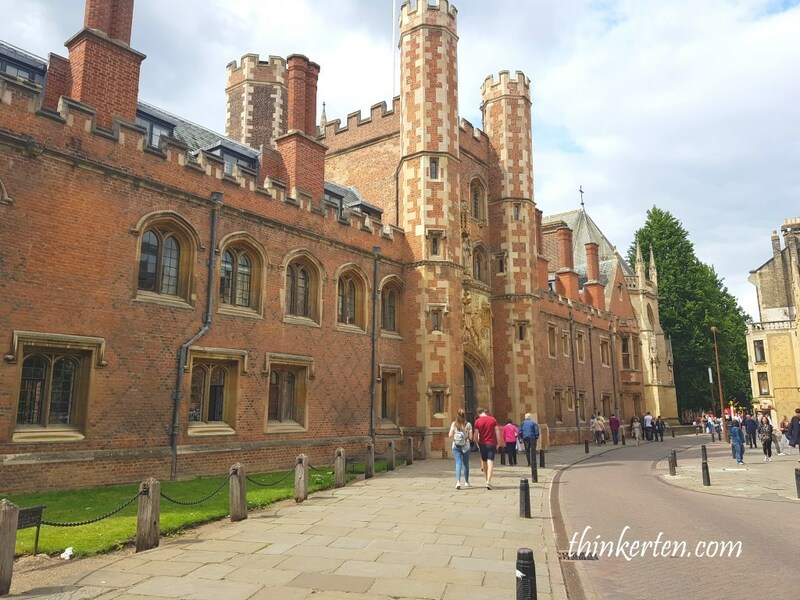 This is the film location for Harry Potter, St John’s College in Cambridge. 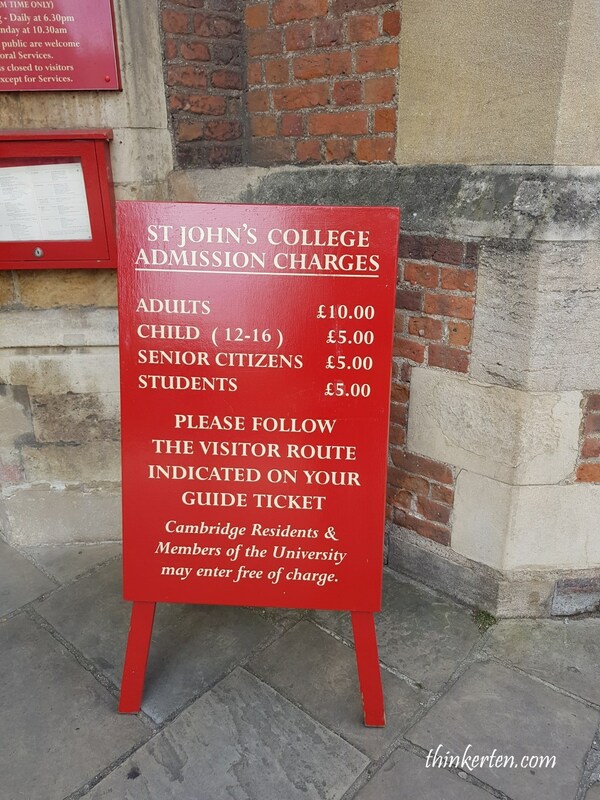 Admission charges is quite high. 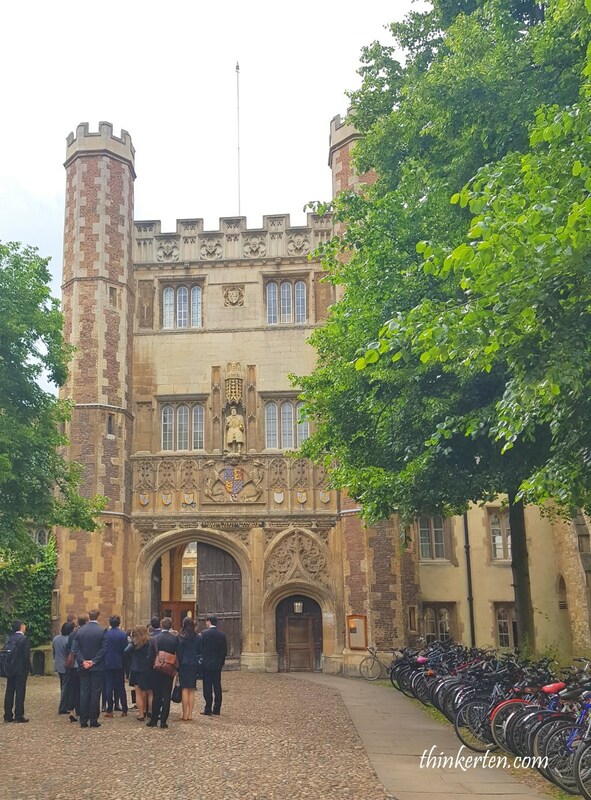 Great novelist Jinyong/金庸 earned his Doctor of Philosophy in oriental studies (Chinese history) at St John’s College, Cambridge. Saw a study group possibly from abroad listen attentively. 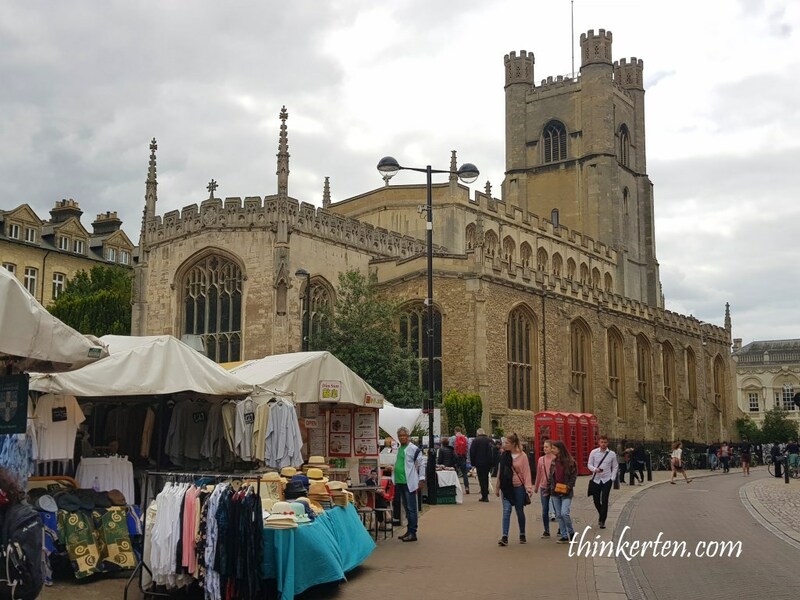 In Cambridge you would love to stay as long as you want because there are also shops, contemporary restaurants and old pubs with good vibes. 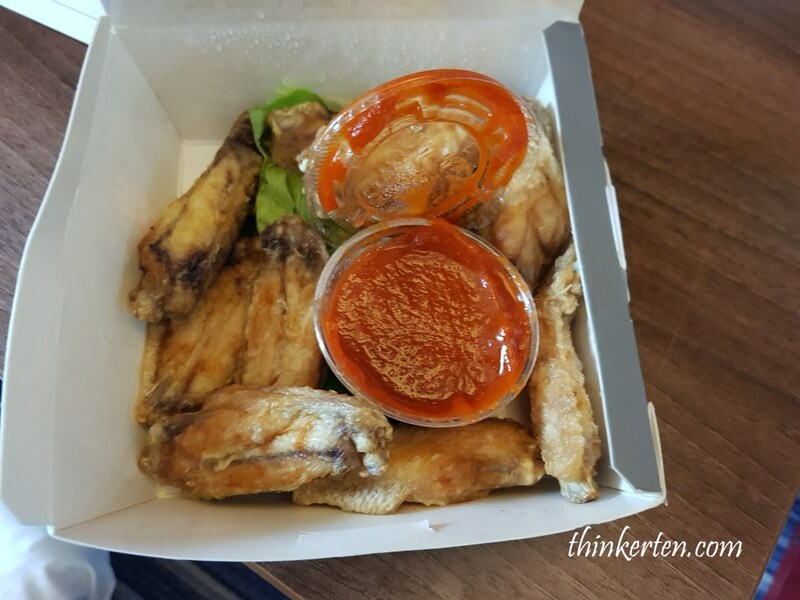 There are so many restaurants for you to choose from, we grab a bento from Wasabi. 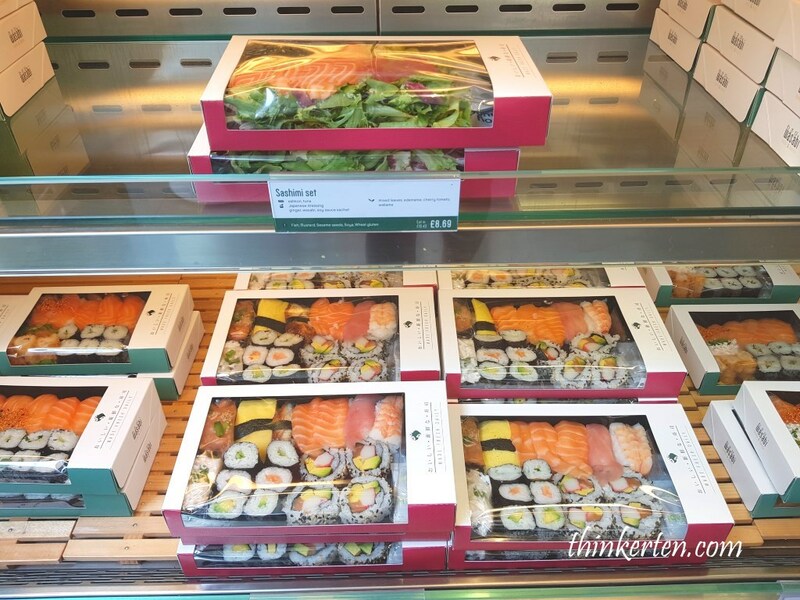 Wasabi is a chain restaurant in UK selling mostly Japanese bento. It is so convenient, just grab and go. 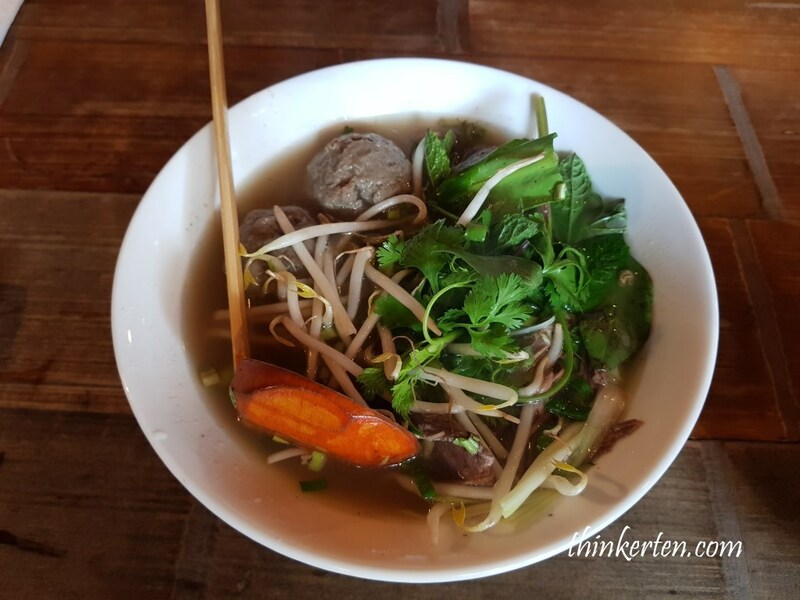 We also tried one of the Vietnamese Pho in Cambridge. We ordered Pho with mixed beef, the beef ball is so huge but noodles and slice of beef aren’t a lot. I can’t remember exactly how much we pay for the noodles, roughly around GPB 10.00. The taste is quite authentic and yummy. 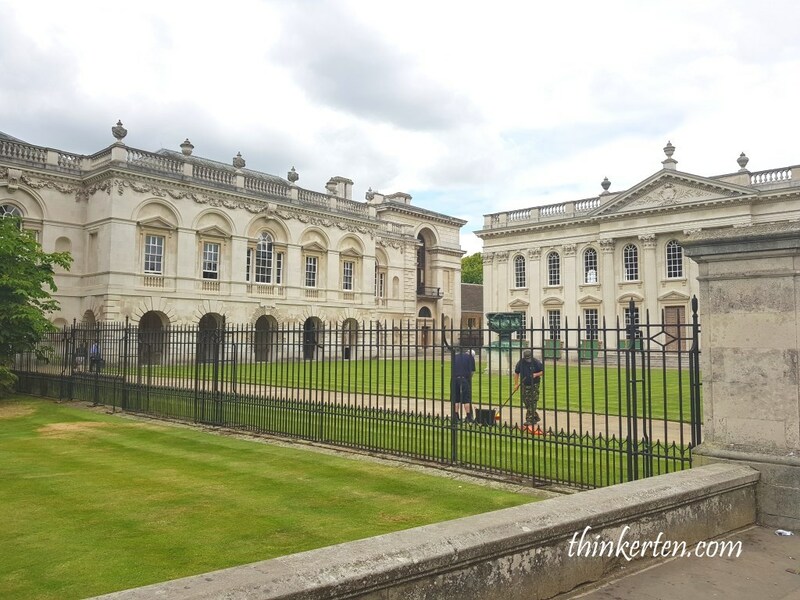 Where to park your car in Cambridge? 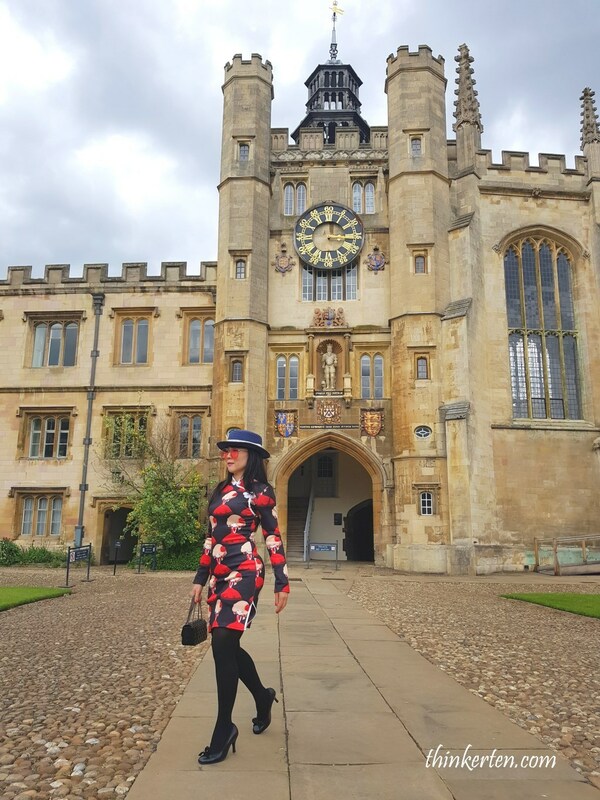 You may be interested to know about Oxford University, please click at Oxford University to read about my story.